John Yearley is the author of The Unrepeatable Moment (“Thought provoking…exhilarating…painfully hilarious” –New York Times,“Yearley is a master” – Huffington Post), Leap (Mickey Kaplan New American Play Prize), Ephemera (John Gassner Award), Another Girl (PlayPenn), and Bruno Hauptmann Kissed My Forehead(Abingdon Theatre). His latest play, Eight Minutes, Twenty Seconds, was workshopped by LABryinth Theatre Company and performed at Temple University. Work for young audiences include The Last Wish (Macy’s New Play Prize for Young Audiences) and an adaptation of Sophocles’ Antigone. Short plays All in Little Pieces and A Low-Lying Fog are available through Samuel French. He currently writes for the animated TV show Treasure Trekkers. Previous TV/film work include the PBS Kids show Arthur, and a stint as a “script doctor” for New Line Cinema. 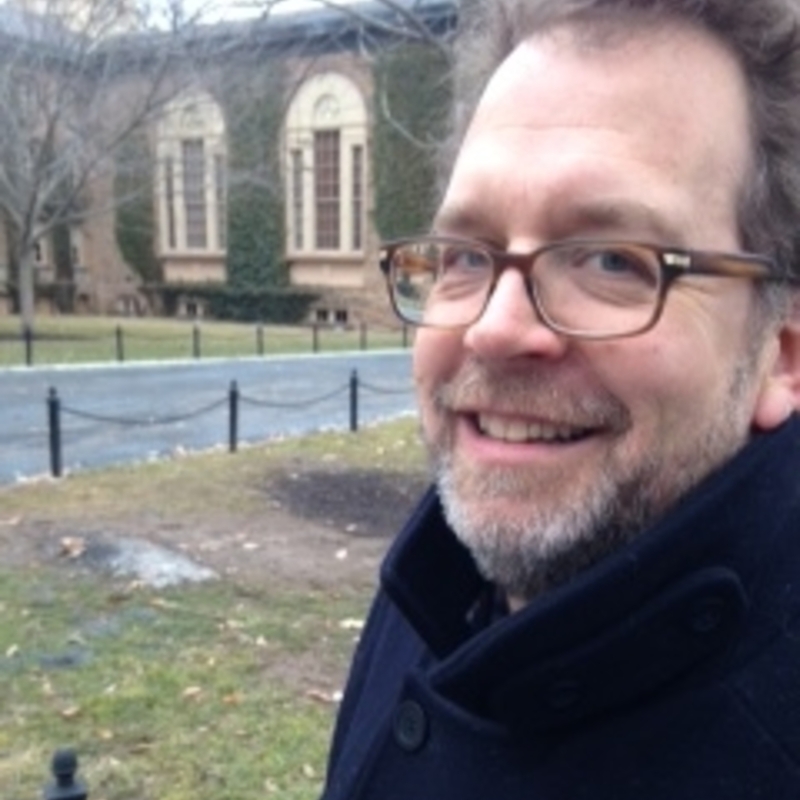 He teaches playwriting and TV writing at Temple University, Drexel University, and the Barrow Group in NYC. Member of the Dramatists Guild, Writers Guild, and twice a MacDowell Fellow.